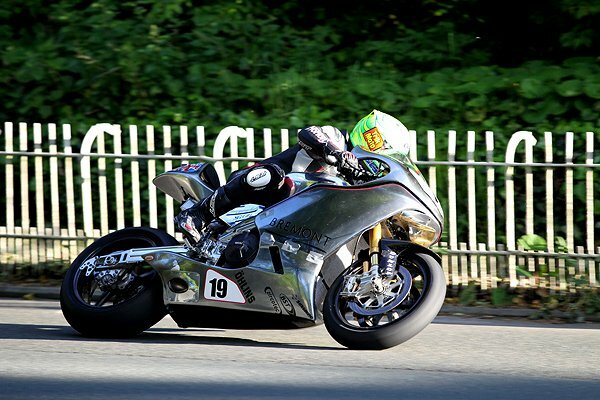 Norton Motorcycles can confirm that Cameron Donald has renewed his contract for the 2015 Isle of Man TT Races, fuelled by Monster Energy, with the Australian ace lining up in the RST Superbike and PokerStars Senior TT Races for Norton. Cameron, hailing from Warrandyte, near Melbourne, won the TT Newcomers Trophy in 2005 and really made his mark a year later when he took a stunning second place in the Senior TT. 2008 saw him claim a Superbike-Superstock double victory and then setting the first ever 131mph+ lap in practice for the 2009 meeting. He now has an impressive tally of ten podiums with his most recent coming in the 2013 Superbike Race when he took second place behind Michael Dunlop. With a fastest lap of 130.729mph, Cameron is also the eighth fastest rider ever to have lapped the 37 and ¾-mile. Norton have also renewed the services of both Mick Grant and Steve Plater to aid further development and progress of the SG3 Norton throughout 2015. Cameron has got the Norton factory approval to ride another class at the 2015 TT in order to keep bike fit and get maximum track time. An announcement is expected shortly on Cameron's chosen ride. "After a solid but frustrating 2014 where we made great progress with the bike but didn't show it's full potential we all agreed to keep the team together for 2015. Norton have pushed hard within the factory over winter, their engineering department have made many changes to SG3. With the enthusiasm and experience of the Norton team behind me and ex TT winners such as Mick Grant and Steve Plater involved again, we're all looking forward to a great TT. Norton is synonymous with the Isle of Man TT and I can't wait to ride the newly developed SG3 round the Mountain Course." "Cameron did a great job for us last year, both in riding talent and development work with the factory. The continuity a further year with the identical team cannot be under estimated. It's a huge ask to build a bike from scratch to compete against the world's best road racers, the world's best bikes at the world's toughest race! To do this we need world-class talent and in Cameron we have this. We also get a great brand ambassador for Norton, his support, feedback and presence within the team are hugely important to us, both as a company and a race team."